The wind and cold will end by Friday! 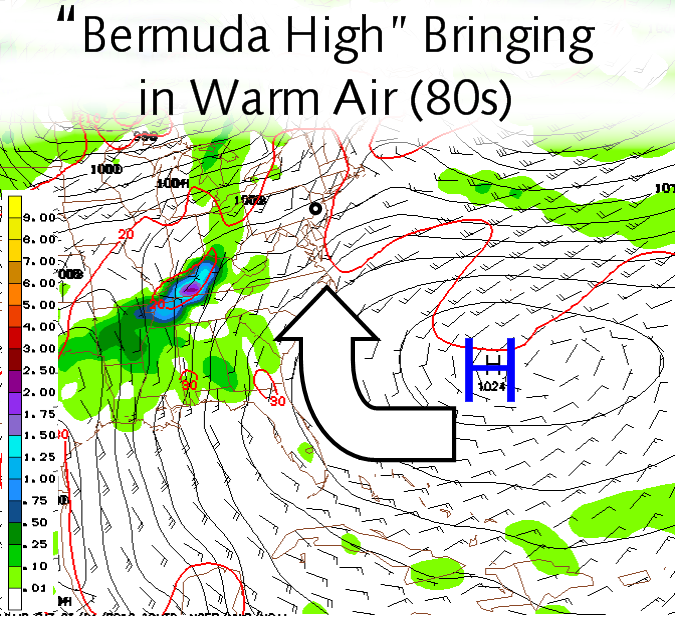 A “Bermuda High” (High Pressure over Bermuda) will bring in tropical air over the weekend and really warm the area. Temperatures on Friday, Saturday, and Sunday will be in middle 80s. By next week, the cooler air will return as the Bermuda High is pushed out by a cold front Sunday Night. Note: Allergies will be bad this weekend, so make sure to take benadryl or claritin. Post something about the up-coming severe weather! 2 weeks without an update!!! Are you going for your record 3 weeks? 9 days? your last post was on April 28!! !